But, here’s a list of organizations and groups that will help you mix and mingle with this Nordic bunch. Please contact me if you’d like to be included in the directory of groups, businesses or job interests. I want to be a go-to place for the Swedes! Swedish, Norwegian, Danish, Finnish and Icelandic Mythology Lessons in Toronto! I’m proud to launch Toronto’s first Nordic language school, NORDIC LANGUAGES INITIATIVE. We now offer something in EVERY Nordic language! We have received rave reviews so far since we started in September 2015. We have some great instructors to teach you how to walk and talk like a Scandinavian! Sign up or get on the mailing list info@nordiclanguagesinitiative.com. The Swedish Women’s Educational Association of Toronto, a big women’s group who put on the famous SWEA Christmas Festival at the Harbourfront every year. You must be a Swedish-speaking female to join. Their main purpose is to provide educational exchanges to Sweden and support Swedish women around the world. They have various activities such as book clubs, stitching get-togethers and dinner meetings. It’s a great way to connect with other Swedish women and their families. More focused on existing Swedish businesses in Canada. A group started by Ylva Dahl to provide an informal social network in Toronto to those outside the above groups. They organize primarily Pub Nights and have an active Facebook page where members engage in helpful Swedish tips and happenings around Toronto. By invitation only, so you would either need to contact me or someone in the group to get in. Also, the posts are primarily in Swedish and require that you know the language before joining. There are multiple locations where children ages 5 and up can learn Swedish and play with other Swedish kids in town. They usually have classes only on the weekend and are technically a children’s school (under 18 only). This older organization encompasses not just the Swedes, but Finns, Norwegians, Danes and the Icelandic folks who have inhabited Toronto and surrounding areas for decades. For your membership, they offer Duplicate Bridge and movie nights, a monthly newsletter and luncheons on Saturdays some six times a year. These activities have been moved to the Agricola Finnish Lutheran Church close to the Yonge/York Mills subway station. For more information about membership, please contact Kristin Lyssand. I had to list this place as a destination for those wanting to have a Scandinavian experience of bathing outdoors in the freezing cold. Well, you can also go there in the summer, but it’s still a nice thought. There are thermal baths and massage services that I heard are amazing. The Scan­di­na­vian Com­mu­nity Cen­tre (SCC) is a meet­ing place for all Scan­di­na­vians, local and vis­it­ing, who strive to pre­serve and pro­mote Nordic cul­ture, com­mu­nity and spirit within the Greater Van­cou­ver area. They have resources, events and a cafe for Swedes, Norwegians, Danes, Icelanders and Finns. I wish they had something like this in Toronto, but we’ll get there! Hej! I am a Swede working at IKEA as the PR Manager. 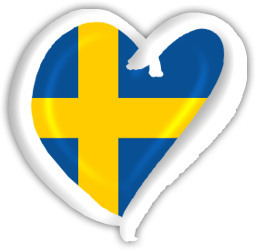 I have grown up in Canada, but both my parents are Swedish and I have strong ties to my Swedish roots. I am looking for a Swedish aupair to help with my 3 year old son and 7 year old daughter. Is it possible to reach out through your blog? Thanks for any help you can provide. Hi! My name is Hannah Thorell, 22 years old, grew up in Sweden and still have my family over there. Currently living outside Hamilton and speaking fluent Swedish and English. Living with my husband here in Canada now and planning on staying forever. Would love to get more information if you still need help? My daughter is inamoured by Pippi Longstocking and would like the character to be the theme of her birthday party. Problem is I can’t find any of the crafts, costumes, braid headband, paper plates, cups, etc. here in Toronto. Everything is from overseas or in the U.S. Any ideas? Or shop suggestions? And yes, I have checked Pinterest. Thank you. Thanks Noak! I have already listed them on my Swedish Food in Toronto page, although I think that page is a bit disorganized. I will go revamp that page when I have more time so that it looks more clear. I have finally figured out that you can use styles on here! I plan to make a Christmas Food in Canada page as well, which I’ll try to keep updated! Any more tips from you or other readers will surely help :-). Hej! Vill garna maila dig med ett par fragor om livet i Toronto! Valdigt tacksam for svar 🙂 lisacyeliasson@gmail.com Tack ! If you are looking for Swedish speakers regarding open job positions in Toronto, please get in touch with us on Svenska Jobb Utomlands. We help Swedish language speakers find Swedish speaking jobs worldwide. I’m a Canadian living in Toronto and I’m hugely interested in Sweden, to the extent that I’m trying to find a way to immigrate. I’m starting to learn the language, and I was wondering if there were any informal conversation groups in the Toronto area that you know of. I can find them for other languages but not Swedish. Thanks! Hi there, we are leaving soon to Stockholm (end of year) and we are planning a farewell party and I was wondering where I can buy Swedish flags and decor (I’m living in Oakville). Also I was looking for language material that contains little stickers that have the English word and the Swedish word together on a sticker so I can put them on items all around the house (Chapters has nothing like that). Any thoughts? Last but not least we wanted to take some electronic items from here to Stockholm and we wanted to buy some current converters in Sweden. What is a good webpage to find adds in Sweden that I can search on where people advertise when they sell from individuals to individuals. Any chance at all that I as an English speaker can understand and find that???? Thank you so much! Try to Google search electric converters in your area. They sell them at electronic shops, maybe even Canada Computers? They should not be that hard to find. Probably even best to order online so you don’t have to hunt it down. We bought one years ago in the U.S. and not here, so can’t help you there. Good luck! Recently at a secondhand store in Toronto, I bought a book in which there were three old pictures, all with Swedish content. They seem like something somebody would want to keep. One picture is a postcard of a bride and groom; the second is of a little girl, with her doll in a carriage; the third is a postcard with a building on the front. This last has stamps on it, and is addressed. All three are dated and signed. Do you think it would be worthwhile to search for the owner of the pictures, and if so, where would I start? Any information you could give would be much appreciated. Thank you kindly, Myleen. Do you have Swedish Ancestry? Did you know Sweden has kept church records since the 1700’s that make it easy to tracing your ancestors? Come and learn where you can find these records online and the basic strategies for using them. Jenny and Kathy are daughters of Don and Diane Snow, and have inherited a love for family history from them. They both currently reside in Utah and have learned that you don’t need to speak Swedish to do Swedish family history research. They have taken courses and learned from experience how to utilize the amazing Swedish records to find their ancestors, as well as their spouses’ family lines. Jenny is married to Michael Jackson and they have 6 children and 3 adorable grandchildren. Jenny has served as a family history consultant for the past several years and Mike serves as a counselor in their Stake Presidency. Kathy is married to Tom Gill who is currently working as Controller in the Family History Department for The Church of Jesus Christ of Latter-day Saints. They have 6 children and Kathy has been doing Swedish family history research on a regular basis for the past 10 years. Jenny and Kathy want to share their enthusiasm for this fun way to research and are excited about teaching along side their father and siblings. I come from gothenburg sweden. My boyfriend lives in toronto. So I travel there almost every or every second month. Was just looking for some swedish peeps in toronto who wants to meet for a “FIKA”. Hade varit kul faktiskt att lära känna någon. Tjej på 24 år. I am not a swede myself but lived in Sweden for five years and always looking for ways to connect back with Sweden. I can carry on a good conversation in Swedish and I am sure I will get better if I meet someone to speak with regularly. I live in Milton but work in Mississauga. Please get in touch. I will check here regularly for replies. Male, 37 y.o. I m living in Toronto Downtown. I am not Swedish myself, but I have studied in Sweden for years and always wanted to connect with Swedes here in Toronto, Canada. I am wondering if we have anything like “Meetup” or sth. like that here in Toronto. I have always been interested in participating in various kinds of Swedish events or festivals. And also I have been looking for work opportunities, which have connection with Sweden. I came from India to sweden fro 32 years ago. My kids are grownups now. My relatives lives in missisauga and i have benn there several times. Now i am planning come to Toronto and start work for couple of months. Here in sweden i work as occupational therapist. I need to Contact with people who can suggest me if there are any job for me. I like to contakt with Swedish people who are living i Canada and can share their experiences with me. Thank you for your anser.